You are the best mom ever! So cute! Oh, gosh! Awwww! What an adorable, proud, toothless grin. She is so sweet holding her new tooth fairy pillow. That's one of the cutest TF pillows I've seen. Not only is that THE cutest lil' pillow, but the cutest CHILD! OMG! She's a doll! It's been over 30 years since MY baby girl lost HER first tooth, but I remember it as though it were yesterday! Your daughter's first tooth loss will be a great memory for you! 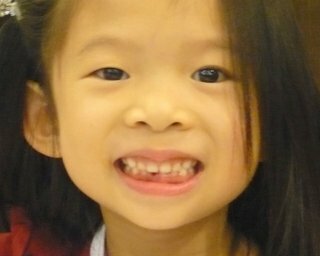 The same thing happened to Maddie -- I was a bit freaked out by the permanent teeth coming in before the babies had fallen out, but it all worked out in the end. Love the little pillow -- so cute! 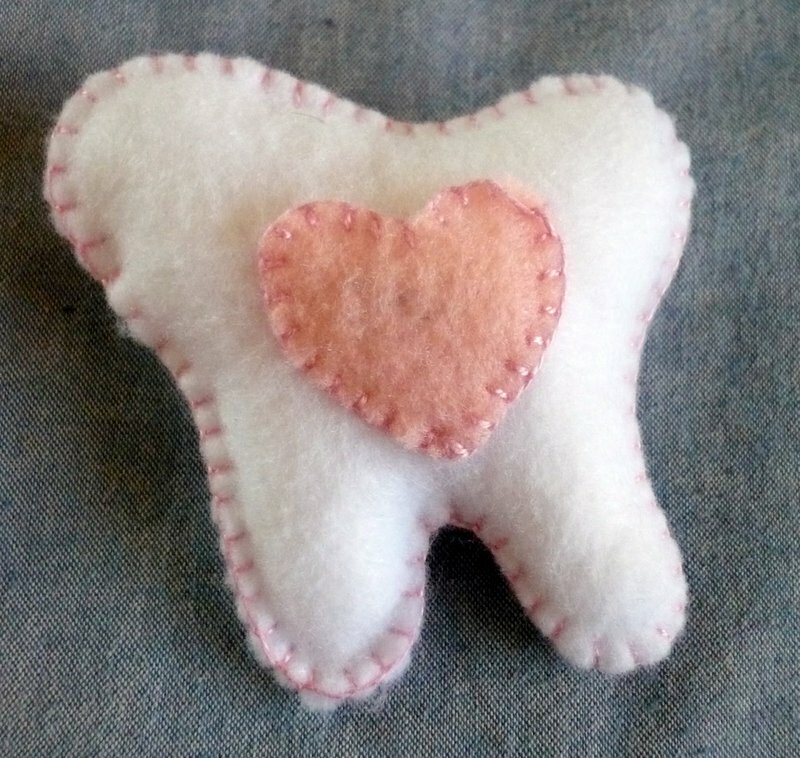 Your daughter and the new tooth pillow are both adorable. 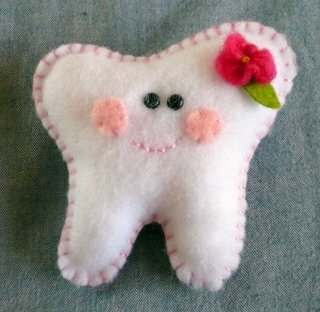 What a wonderful way to make something fun for a child who might otherwise be a tad frightened on losing their little teeth. That is THE CUTEST toothpillow EVER. Ack. Hurray! 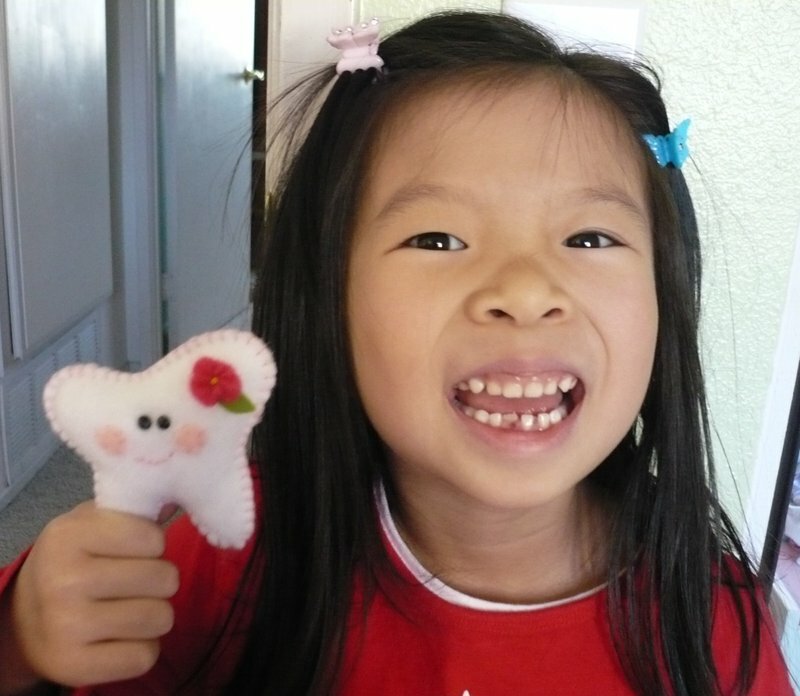 You made it through the first loose tooth. I love the little pillow you made for the event as well. Awww, she looks so cute. Ethan doesn't even have a single tooth loose yet and he's 6 1/2! I love your pillow! It's really cute. I bet she just loves it!! Cute little tooth pocket! I bet Tooth Fairy would be delighted to see it. 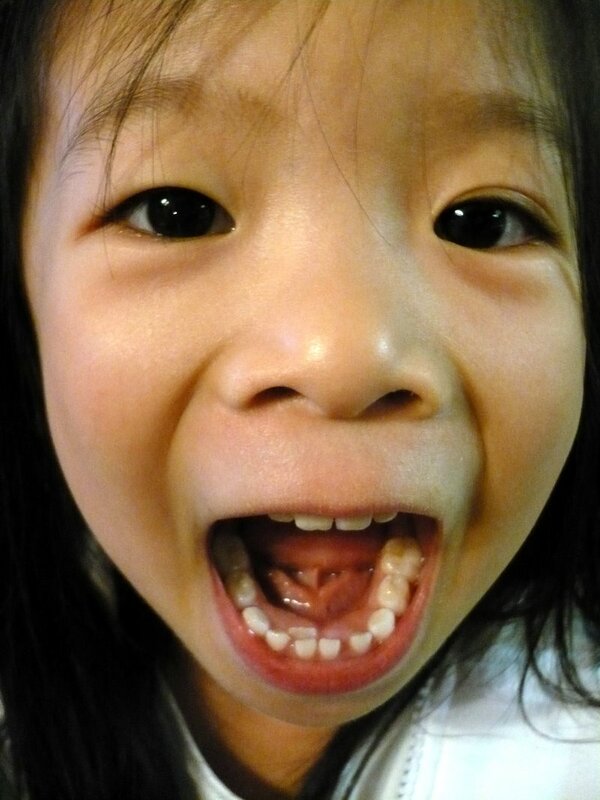 And oh, I noticed her permanent tooth already erupted before the milk tooth fell out. I guess you'll need dental help to make that tooth align with the rest of the team. How did they react when you told them about the Tooth Fairy? Don't worry. I think she's still at the right age for the tooth to grow naturally. The right time will come along.